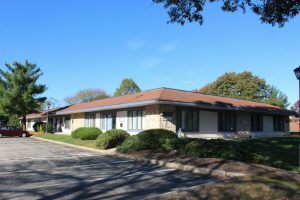 WCRE is proud to have successfully represented Scialabba Properties, LLC in the exclusive leasing and marketing of 1002 Lincoln Drive West, an approximately 2,475 square foot office suite located within The Greentree Executive Campus in Marlton, NJ to Premier Products. Premier Products is the leading manufacturer of parts and accessories for the limousine, bus and van industry. The Greentree Executive Campus is located in the heart of the Marlton Business District directly off Route 73 and Greentree Road, providing easy access to I-295 and the NJ Turnpike. The buildings on Lincoln Drive appeal to a variety of professional and medical users. Christina Del Duca, Vice President of WCRE exclusively represented the landlord and the tenant in this transaction.